Hi, all! As some of you may know, I'm a contributing editor for Fantastic Floridas, an online lit journal by Burrow Press. 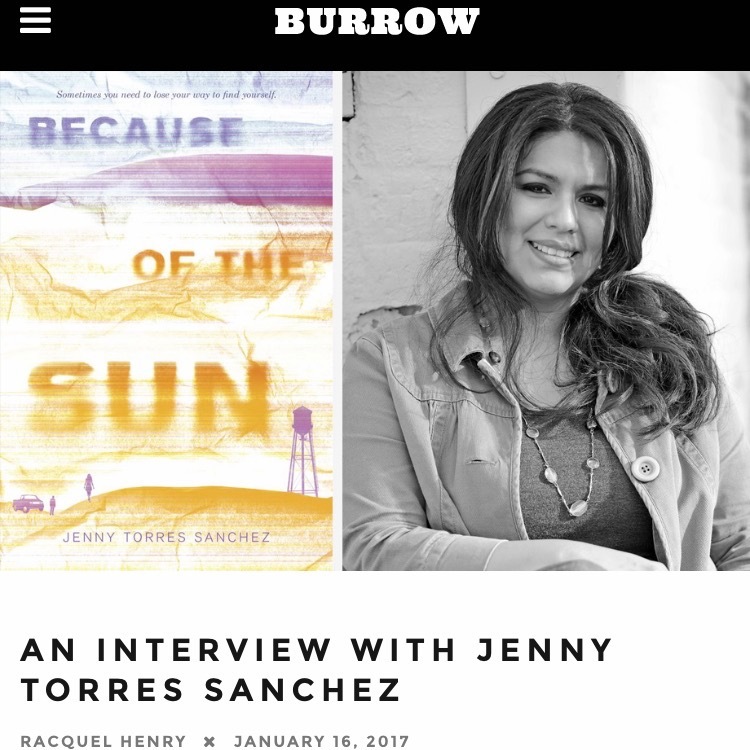 I had the privilege of interviewing Jenny Torres Sanchez about writing YA and also her new book, Because of the Sun (Delacorte/Random House, 2017). It's published on the Burrow Press website. Check it out if you get a chance! Here's the link to the interview. By the way, if you haven't had a chance to read Because of the Sun, what are you waiting for? Get out to your local bookstores (support indies!) and grab a copy! It's SO GOOD and it contains a bear attack. Need I say more?